This Sunday, we met again at the Indian Human Resource Center our new meeting home. Roy Cook and VP Jerry Starnes each have keys, instructions of the facilities and hot coffee ready with the donuts for the arrival of the TONKAWA members. TONKAWA Vice President Jerry Starnes called the meeting to order at 12:04pm and asked Stan Rodriguez to provide the blessing for the meal. All the Karucks sat down to a good meal! The TONKAWA Indian Spring meal consisted of: fresh corn tortillas, refried beans, green salad, raw vegetables, jambalaya, high fiber muffins, Danish yummies, bread and butter and sugar free donuts (ha ha). TONKAWA business covered the: Health clinic/IHRC/Soaring Eagles/ TONKAWA community picnic in late May 26, 2011 at Admiral Baker field, financial status and after much discussion and a tap dance by Juan Castellanos, TONKAWA contribution to the picnic: $500.00, M/S/P. There was good and respectful participation at this meeting (much missed was President Violet Tunohun). Vice President Jerry Starnes reminded everyone of the need for recruitment of new members. Roy Cook proposed that we increase our recruitment dinners: TONKAWA members suggested February and September on the same Sunday of the monthly TONKAWA meeting. Remember, Sunday is a busy day with folks going out to dinner after church. M/S/P. Vice President Jerry Starnes reminded everyone of the need for more respectful behavior in public occasions, a continued emphasis on the traditional American Indian generosity of gift giving at each TONKAWA meeting and hospitality, bereavement and get well greeting cards. Rose Davis distributed copies of Indian Voices. In the Indian Voices are the announcements of future cultural events, The TONKAWA meeting adjourned at 2:05pm. 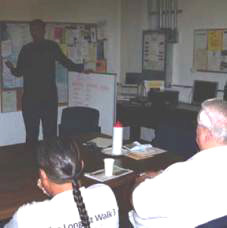 Finally, our regular monthly meeting location is at the Indian Human Resource Center, 4265 Fairmont Ave. suite 140, San Diego, 92105. We will send out a mailed print copy of the TONKAWA minutes to the few members that do not have Email access. Our next TONKAWA meeting is 11:30 -1:30 or so on April 10, 2011.